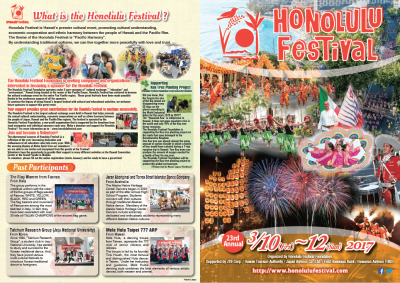 We recently completed our brochure for the 23rd Annual Honolulu Festival which the events schedule is listed. Also, it features messages from various participants. Currently, we are preparing for tons of exciting events. We look forward to seeing you at next year’s festival. *Unauthorized secondary use, copying and replication of the contents, text and images are strictly prohibited. All Rights Reserved. 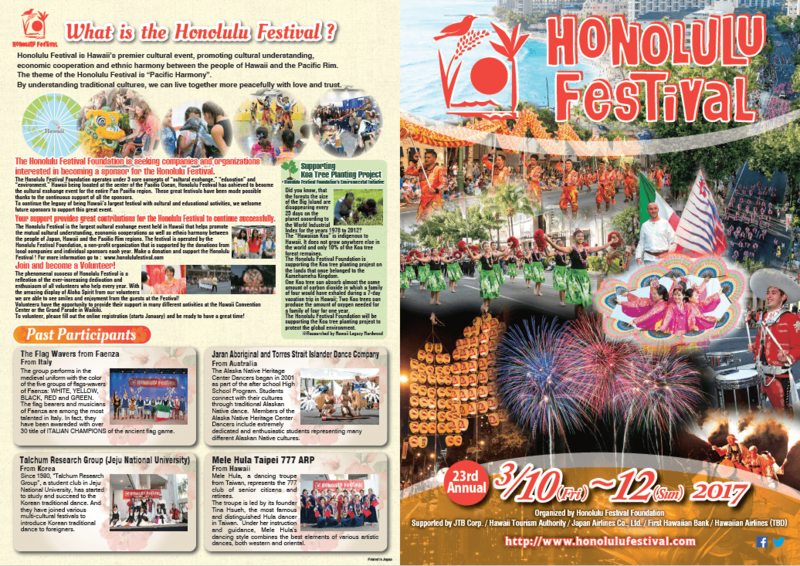 « The Newsletter for the Honolulu Festival 2017 has been Released!